Animated films allow people to tell authentic and personal stories about difficult subjects, using their own voice but retaining anonymity. Because they are visual, they are also an accessible way for people of all ages (especially those with low literacy levels or of different ethnicities) to access important information in an immediate way. That’s what makes them so powerful for conveying messages regarding important medical information, according to Emma Lazenby, who created ForMed Films in January 2015 for that very purpose. Themes to date have included anaesthesia, mental health, birth and midwifery, exercise, teeth, radiotherapy, and cervical screening. Emma is presenting a one-hour workshop directed at clinicians, community health and health promotion practitioners interested in using animation to help better inform patients at the International Arts and Health Conference. 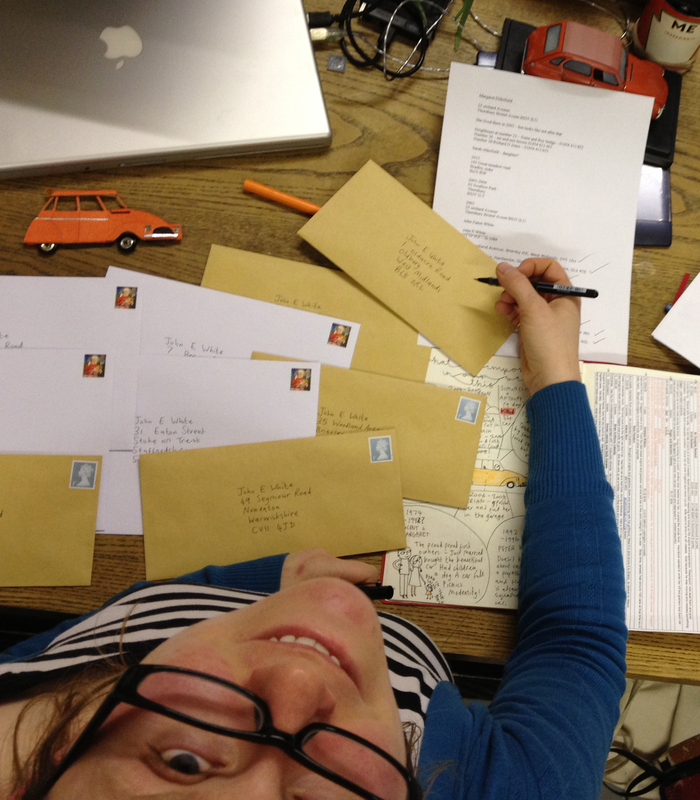 Having worked in the animation industry for 19 years, including for the BBC, Disney, Aardman and Channel 4, Emma says she genuinely believes animation is the best format by which to talk to people about medical and health issues, which can sometimes be overwhelming in their technicalities. ForMed Films states its vision is “to create films that touch lives and help people make better health choices and engage in treatment,” and Emma said they do this by becoming totally immersed in their subject. 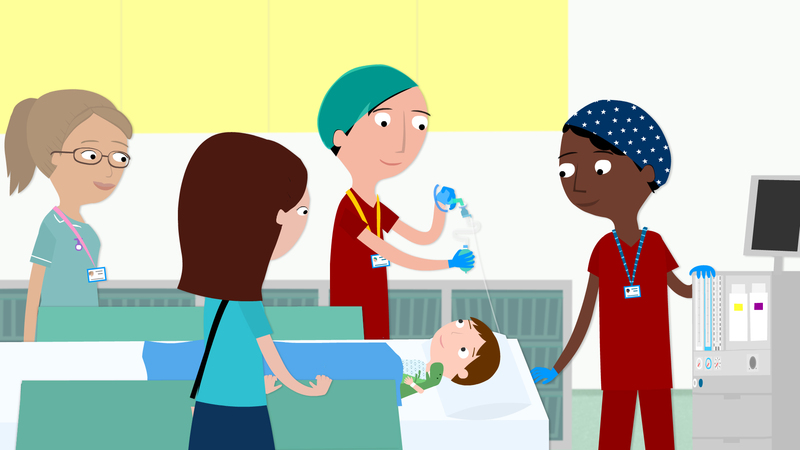 “For example, for ‘A Little Deep Sleep’, our film about anaesthetics, we shadowed anaesthetists and patients for a number of days in Bristol Children’s Hospital,” Emma said. “It feels like such a privilege to be able to wear scrubs and attend surgery; to observe, draw, record sounds etc, and to be around families at this vulnerable time and share the experience with them. The secret to successfully getting the message across in animation, Emma said, was working collaboratively with professionals, being curious and fascinated, and having a joint clear aim of what the film’s message needed to be. Again, she emphasised that speaking to “real people with experience and letting the power of their story and their voice talk to the viewer” was vital. “It is like a big puzzle that needs exploring from all angles and there is no simple answer – every project is different,” she said. 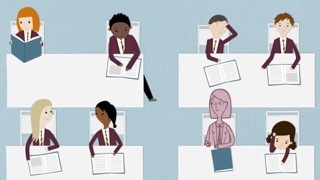 In the case of ‘My Mum Has a Dodgy Brain’, which deals with mothers experiencing mental health problems including depression, anorexia and bipolar disorder, the ForMed team interviewed three children for about 40 minutes about their experiences before editing them down to a six-minute animation, using the children’s own voices. The film, which has been shown at festivals and conferences, and is being used by the UK’s National Health Service, aims to increase public awareness, as well as helping children in a similar situation and highlighting to professionals working with parents with mental health issues what their children experience, so they can receive the help they need as well. “The voices and the stories make the film,” Emma said. “It feels important for children to speak to children. I think they are often talked over, or down to or patronised. Where possible, she said, ForMed always used the voice of those involved, but sometimes films needed a narrative to compress all the information into a compact space of time, such as in ‘Movement is Life’, narrated by a doctor with the message that cell inflammation as a result of inactivity over time causes most major diseases. Emma said the information gathered, which was aimed at teachers and increasing their awareness of the vital need for students to exercise daily, was eye-opening to her as the filmmaker. “It changed my life. Though I was already very active, it has made me very aware,” she said. “This was carefully scripted, edited down from a lecture given by Dr William Bird, who re-narrated the film to our script. And it’s not just the voices that are real. Emma said the real-life backgrounds of hospital and staff, gave people familiarity when they entered the hospital environment. While she thoroughly enjoyed her time in the commercial arena and learned a lot, covering every area from animation to design, art directing, directing, concept art and sound design, Emma said she found making medical films fascinating. “I care so much more deeply about the end product – that it is the right film and that it honours the people involved. It is so much more satisfying to be doing good,” she said. The difficulty can be attracting funding, which led Emma to attempt Crowd Funding for a project called ‘Perinatal Positivity’, a film about maternal mental health for parents-to-be, to promote wellness and early identification. “The films are professionally made, commercial products,” Emma said. “They take a long time to make and involve a skilled team … Finding the money in the health system can be very difficult, where commercially these budgets would be reasonable. And for the future? Emma said ForMed Films was started to make medical and educational films, including issues related to mental health and wellbeing. “There are so many other aspects that do come into it. There are so many films to make, and no limit really,” she said. 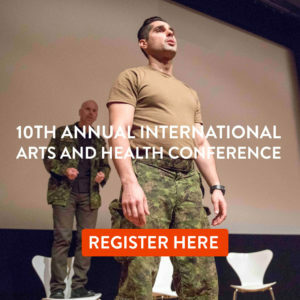 Emma is excited to be the artist in residence at the International Arts and Health Conference, something she has not done before. 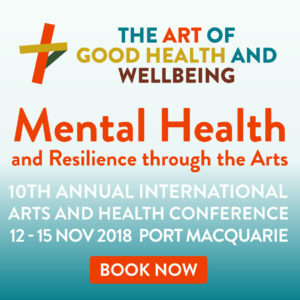 Emma Lazenby is presenting the Animation for Medical Education Workshop at the 9th Annual International Arts and Health Conference – The Art of Good Health and Wellbeing – from October 30 to November 1 at the Art Gallery of NSW. #artshealth 17.